A degree in Psychology, Social Work or related discipline with significant experience and expertise in Family Based Out of Home Care. Strong team work focus and demonstrated experience/abilities in leading and managing people. Proven high level of interpersonal skills. Knowledge of legislation and guidelines for the provision of Foster Care Services. Knowledge of community networks, peak bodies, business linkages and available resources. Competence in using computer, database, spreadsheets, internet and electronic communications. Sound knowledge of child development, attachment issues and behaviour management in relation to children in care. 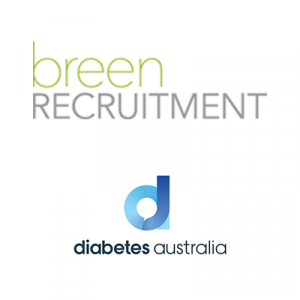 Experience working with people from CALD and Aboriginal and Torres Straight Islander backgrounds. Sound knowledge of best practice child placement principals. Sound knowledge and experience of Foster Care Services. Skills and experience in preparing and presenting information for training groups and for reporting to meetings. Demonstrated experience in achieving outcomes through setting direction, priorities and goals and ensuring accountability for results. Promotes well-being and resilience, ensures the health, safety and wellbeing of employees and maintains a safe work environment. 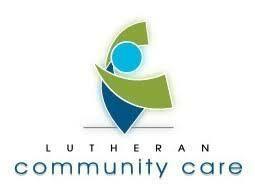 Ability to work within the Lutheran Community Care Vision, Values and Philosophy. Lutheran Community Care (LCC) provides community services on behalf of the Lutheran Church in South Australia and Northern Territory through a range of programs. We support communities through responding to the needs of individuals and families, community development, learning opportunities, accommodation and support. Current programs include emergency relief, financial counselling, family support and education, foster care, housing and family shelter and refugee services. LCC is committed to reducing barriers and encouraging inclusion and participation in the community of people with a disability, people of all ages, Lesbian, Gay, Bi-Sexual, Transgender, Intersex and Queer (LGBTIQ) people, Aboriginal and Torres Strait Islander (ATSI) people and people from Culturally and Linguistically Diverse (CALD) backgrounds. Foster Care Services (FCS) are funded through the Department for Child Protection (DCP) to provide family based foster care services in the SA Metropolitan North, South, West, and East, the Adelaide Hills, the Barossa and the Murray/Mallee regions. LCC has an enviable reputation for providing high standard foster care services in recruiting, assessing , training and supporting our foster carers to provide highly successful placements for children-both Aboriginal and non Aboriginal , in family based out of home care. Please quote in application: Operations Manager Foster Care services via Pro Bono Australia.